Gemma is a documentary maker, storyteller and creative coach. She founded Sister Stories in 2017 because she believes in the healing power of stories and the simple potency of truly being listened to. Gemma runs regular circles in North London and leads the facilitator training programme. For upcoming events, click here. If you’d like Gemma to bring Sister Stories to your area, please contact her here. 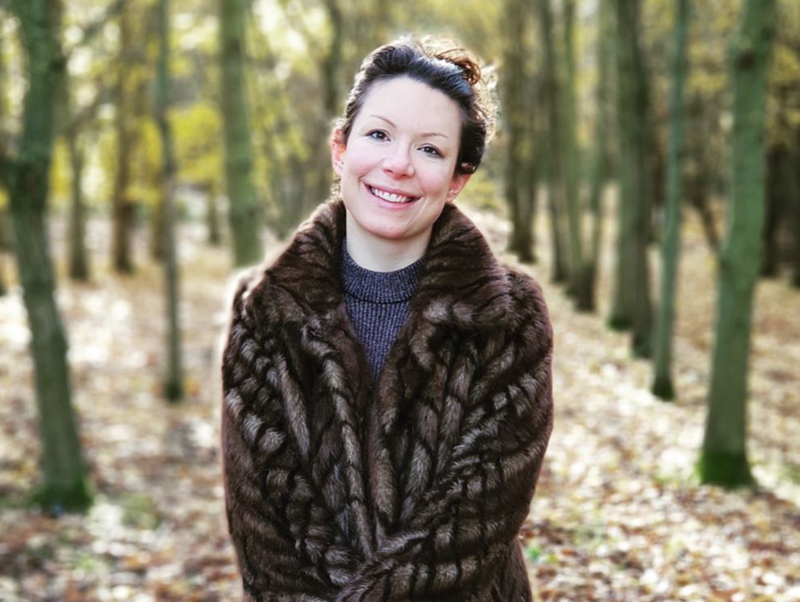 Sophie is a teacher and writer, maker and mother, lover of trees and poetry. Best-known as the co-founder of The School of Life and founder of Department Store for the Mind, she is also faculty lead at Year Here, and author of a number of photography books. Sophie currently leads our East London circle and co-facilitates the Circle Leader training with Gemma. For upcoming events, click here. Katie is the Design Lead for Sister Stories, midwifing our brand and website into being. She originally hails from Durham in the North East, but now runs circles in Kennington, South London. She values spontaneity, kindness and variety - and tries to live life in a way that makes room for all three. In 2014, Katie co-founded Settle, an award-winning youth homelessness charity. She now works part-time, trying to find the right balance between freelance & personal projects. At the heart of our growing community are our circle leaders, courageous and compassionate women who have stepped up to host Sister Stories circles. For more information about upcoming circles, click here. Priya spent over 10 years working in the Finance Industry before making a decision to leave and turn to wellness. She now supports people to connect to their bodies and become aware of their authentic self, sharing the various tools she uses in order to live a balanced life. Being a Sister Stories facilitator is an extension of the work she now does. She believes that holding presence and space for each other is a gift. Holly is a life coach, celebrant, and speaker who helps people make positive changes that stick. She was drawn to Sister Stories because she craved connection in a world where technology often leaves us feeling more disconnected from both ourselves and each other. Andrea is originally from Minneapolis, Minnesota and has lived in London for the past 10 years. Currently working as a documentary maker, she thrives on listening and telling others’ stories with compassion. Yearning for stillness and connection in a busy city has drawn her to the work of carving out that sacred space for herself and other women. Allanah is a TV producer, writer, and yin yoga teacher living in Edinburgh. Her work has allowed her to tell stories about the natural world, the joy of experiencing it, and the importance of preserving it. She believes the simple power of listening to others, and in turn, allowing yourself to be listened to can be transformative. She welcomes you to come in to the circle, and allow your edges to soften. Stella is a daughter, a partner, a friend and a coach. An avid people watcher, story gatherer and adventure seeker. She loves to travel, to make new friends and to listen to the world around her. She discovered Sister Stories as part of a personal journey to seek out and cultivate more strong female connections in her life. After attending circles in London, she felt called to hold this magical space for women in other parts of the UK and further afield. Sagina is a career coach, workshop facilitator, speaker and new mother. She lives in South London and holds circles for new mothers. She believes it is so important that we create spaces for women to come together and just be themselves. There is so much happening in our hectic lives, but that Sister Stories circles have the power to be a sanctuary for women. Lynette been practising yoga for over 15 years and teaching for 8 years. She has listened to all of the divine tugs of her heart to create a vehicle and a space where women can come together in circle as support for collective healing and sitting as peers in a safe space. Lynette holds space that allows women to breathe, be curious, speak or be silent, without suffocation or judgement, spaces that rise to a much higher standard of support, love and encouragement than what we experience in the news, on social media, workspaces and on TV. Lynette believes that being in circle offers up so much clarity in this time of great shifting in our world. Helen is a life coach, trainer consultant for Young Minds, workshop facilitator and carer. She first participated in Sister Stories in March 2018 and is now passionate about making this transformative experience available to women in West London.